This book explains the principles and theory of statistical modelling in an intelligible way for the non-mathematical social scientist looking to apply statistical modelling techniques in research. The book also serves as an introduction for those wishing to develop more detailed knowledge and skills in statistical modelling. Rather than present a limited number of statistical models in great depth, the aim is to provide a comprehensive overview of the statistical models currently adopted in social research, in order that the researcher can make appropriate choices and select the most suitable model for the research question to be addressed. 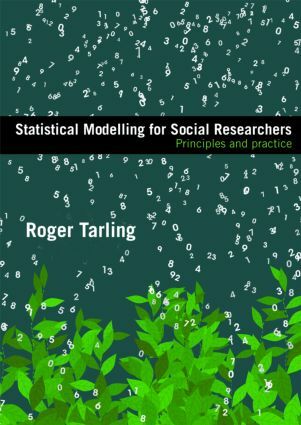 To facilitate application, the book also offers practical guidance and instruction in fitting models using SPSS and Stata, the most popular statistical computer software which is available to most social researchers. Instruction in using MLwiN is also given. Models covered in the book include; multiple regression, binary, multinomial and ordered logistic regression, log-linear models, multilevel models, latent variable models (factor analysis), path analysis and simultaneous equation models and models for longitudinal data and event histories. An accompanying website hosts the datasets and further exercises in order that the reader may practice developing statistical models. An ideal tool for postgraduate social science students, research students and practicing social researchers in universities, market research, government social research and the voluntary sector.